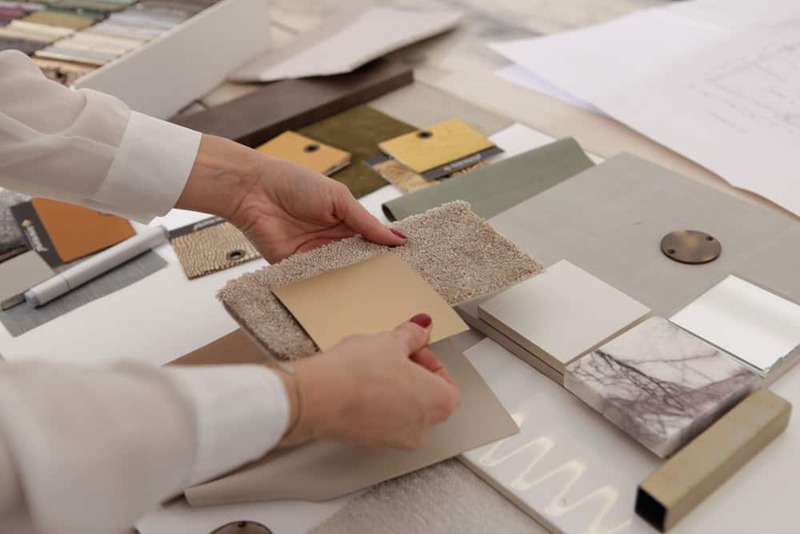 Working with an interior designer is a creative, collaborative process and a strong working relationship between client and designer is essential. We’re delighted to have the opportunity to work on a variety of exciting projects and hope our clients enjoy the process and relish in the partnership as much as we do. Find out what some of our clients had to say about working with us. Warm tones, rich textures and natural materials inject character and charm into the bathrooms of our Antrim Grove project. 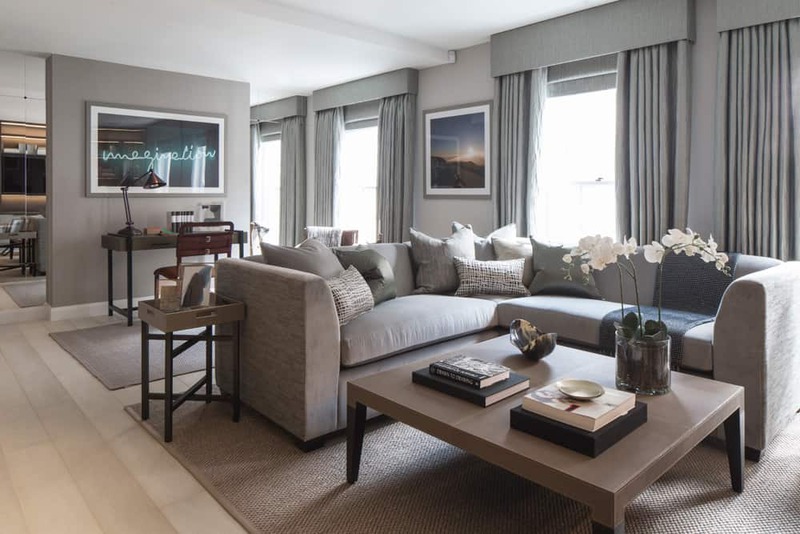 Our complete refurbishment of a luxurious pied-à-terre in the heart of London’s West End that features high-end materials, plenty of built-in storage and a versatile, open-plan living space. 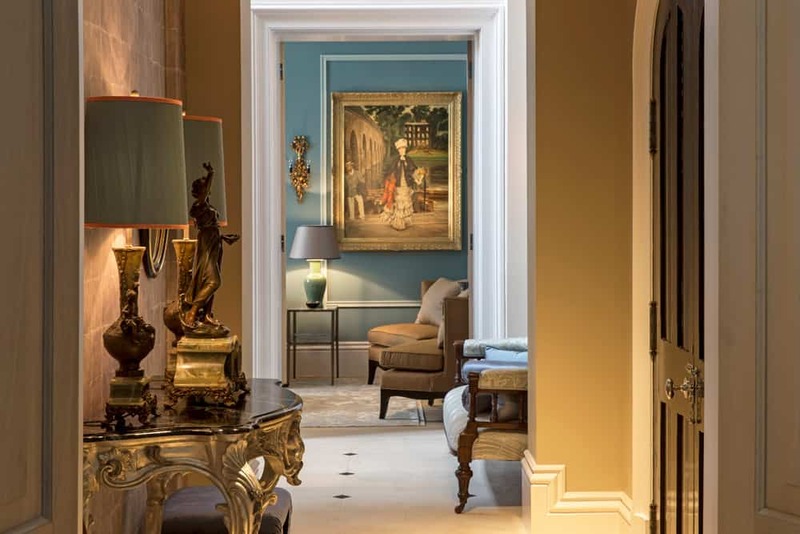 Tour the luxurious interior design of our Broad Walk family home – a magnificent new build property that is grand yet welcoming. 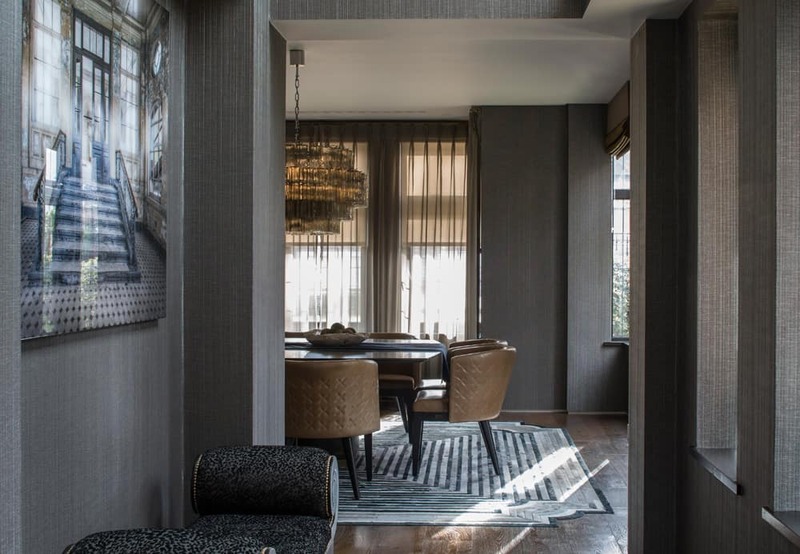 A look at the redevelopment and interior design of our Eaton Mews North project in Belgravia where a focus on layered textures creates a subtle sense of glamour. 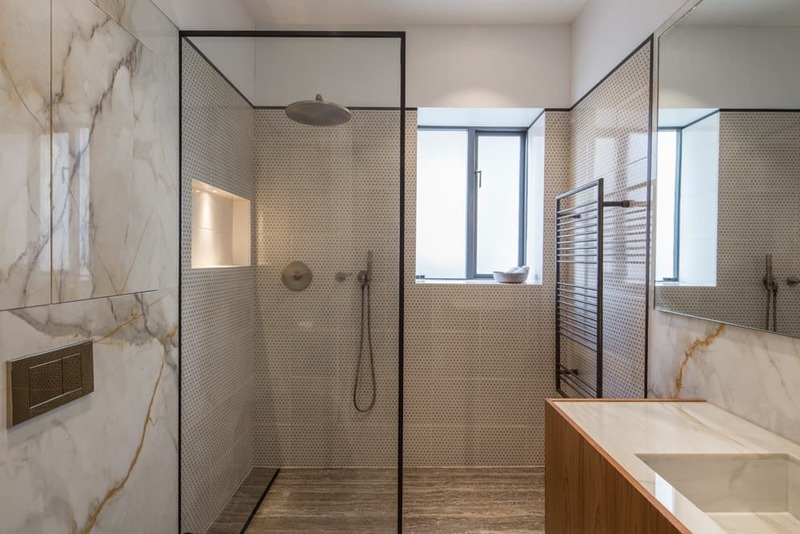 Beautiful materials add interest and texture as well as a sense of depth in the inviting guest bathroom of our Belsize Park project. 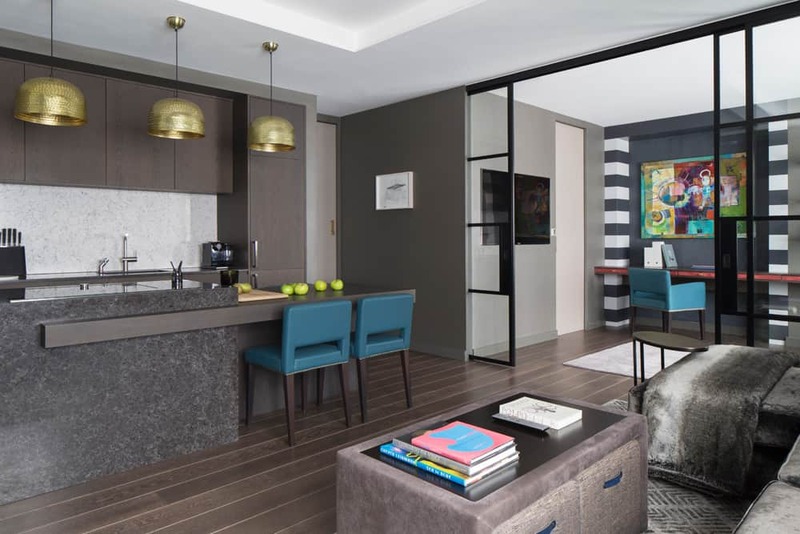 We spared no detail in the interior design of this luxurious yet comfortable duplex apartment. 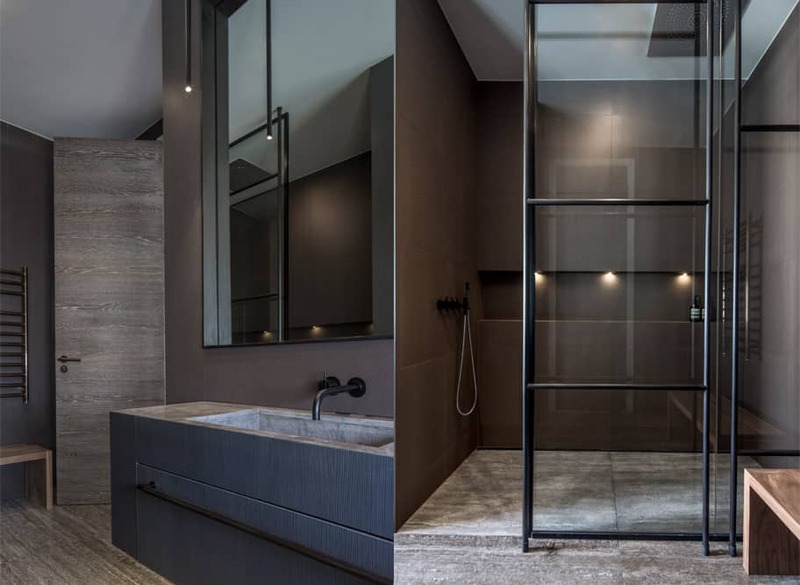 Marrying the exquisite architectural detail of the building with the interior architecture, the apartment was also brought up to date in terms of technology, whilst still reflecting the personality of our client to ensure a space that felt unequivocally like a home away from home. 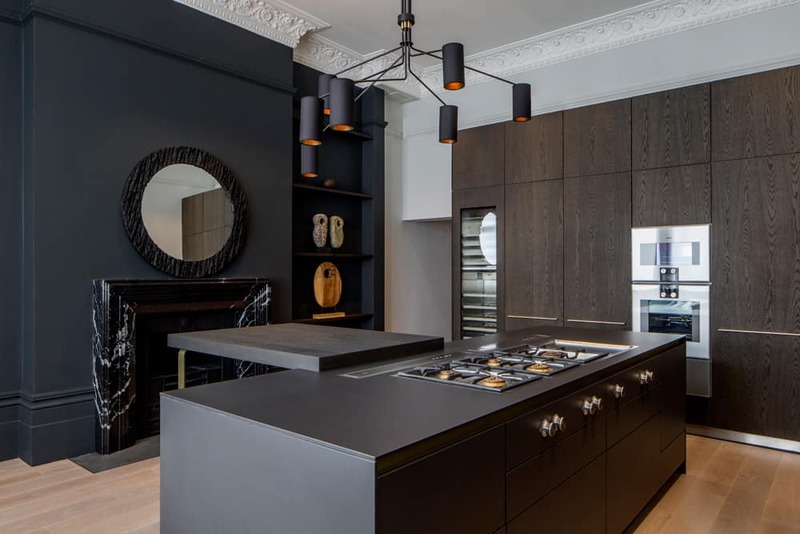 We discuss the brief and inspiration behind the design of our award-winning Belsize Park kitchen – a modern space that mixes old and new.